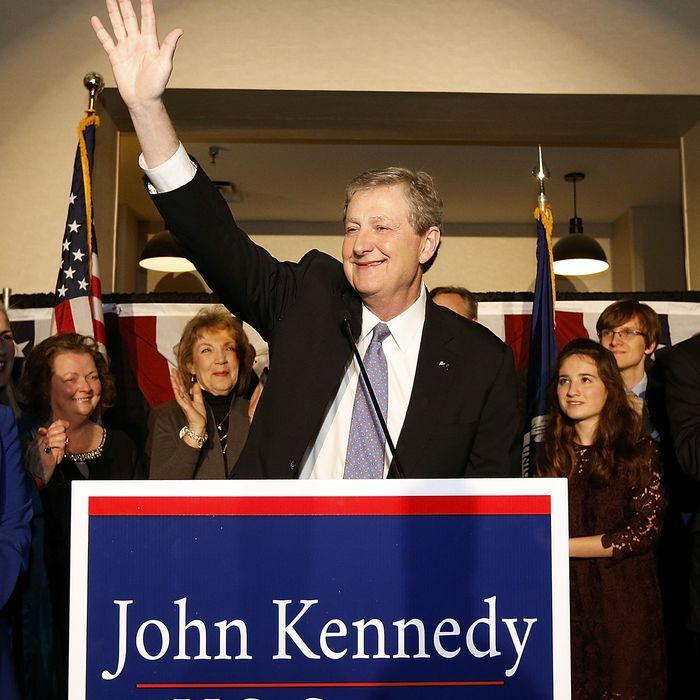 As expected, the Republican Party took the final U.S. Senate seat of the 2016 cycle on Saturday when John Kennedy defeated Democrat Foster Campbell in Louisiana’s runoff election. The GOP will now have a 52-48 seat majority in the next Senate. The runoff was necessary because neither Kennedy nor Campbell was able to take a majority of votes in the state’s nonpartisan primary on November 8, but it wasn’t even close on Saturday, as Kennedy crushed Campbell by more than 20 points. Campbell, a public-service commissioner, had benefited from a large amount of national grassroots attention from Democrats following Trump’s win last month, outraising Kennedy, Louisiana’s state treasurer, $2.5 to 1.6 million during the final reporting period of the campaign. It wasn’t enough, however, to overcome the Republican in a state that went for Donald Trump by nearly 20 points. In addition, both Trump and Vice-President-elect Mike Pence campaigned for Kennedy, a former Democrat who switched parties in 2007, and this year ran a mostly antiestablishment campaign. No Democrat has won a U.S. Senate race in Louisiana since 2008.